I have mixed feelings about Interstellar, but I have no doubt that if you want to see it, you have to see it on the big screen (preferably IMAX). And if you loved Interstellar, you probably want to see it again and again except ticket prices are ridiculously high. Paramount and AMC Theaters are teaming up to solve this problem by offering an “Unlimited Ticket”. First, you have to be an AMC Stubs member (it’s actually not a bad membership on its own), and then the cost of an unlimited ticket is $19.99 to $34.99 based on the location of the 330 participating theaters across the country. If you already bought a ticket for Interstellar, you can upgrade for $14.99. The ticket works at any AMC theater and for any format of the film, including IMAX. Sweet deal, right? If you love Interstellar and want to keep seeing it, this is a solid value. But I think what’s more valuable is this concept, which I’d like to see applied to other big movies. Interstellar isn’t having the same box office hold as The Dark Knight and Inception, Nolan movies that people were happily shelling out cash to see repeatedly. I’m curious if any other studio will take this “Unlimited Ticket” concept and apply it to any film that may doing well, but not well enough that it can comfortably count on repeat business. Hit the jump for the press release, which contains more details. Leawood, Kan. (Nov. 17, 2014) – AMC Theatres and Paramount Pictures are excited to offer AMC Stubs members a first-of-its-kind INTERSTELLAR Unlimited Ticket, which allows AMC’s loyal moviegoers to see the film as many times as they’d like for one price. AMC Stubs members who have already seen the movie have an option to upgrade to the unlimited ticket at AMC. For two weeks, movie lovers have flocked to AMC Theatres to experience Christopher Nolan’s latest blockbuster, INTERSTELLAR. Guest feedback indicates that guests not only love the movie, many are expressing a strong interest in seeing it again in the theatre. 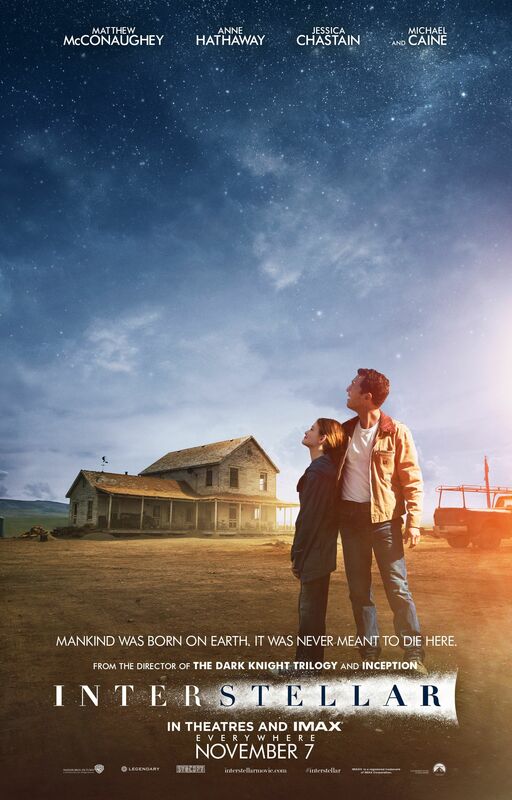 INTERSTELLAR Unlimited Tickets are available for sale to AMC Stubs members at AMC box offices in 330 locations across the country. The INTERSTELLAR Unlimited Ticket price varies by location, ranging from $19.99 to $34.99. All AMC Stubs members who have already purchased a ticket to the movie can upgrade for $14.99. A commemorative INTERSTELLAR pass will be issued, which can be used at any AMC location playing the film. While the ticket is unlimited, quantities are not, and guests are encouraged to get their Unlimited Ticket while supplies last. “INTERSTELLAR” is playing in theaters nationwide.